On one hand, 84% of all buyers found crucial information online that helped in their home search. On the other hand, home sales clocked a 9% rise in March 2017 as compared to the same time last year. Real-estate industry is probably the most lucrative industry as the median price of a home sold in March this year went up by 7.5% y-o-y, touching $273,000. All these information combined together is enough to say that real-estate marketers and agents are steadily competing to get attention online. Like every other industry, real-estate is also relying heavily on sending relevant marketing messages than just cold-calling leads. Since a B2C sales cycle is typically short, real estate marketers are doing everything to send out personalized messages that will trigger conversions. And to do this, they are readily adopting real-estate marketing automation tools. Having said that, I can safely say, real estate marketing automation is swiftly changing the face of marketing for real estate agents and marketers. Buyers are looking for homes online and they already have a gamut of resources to identify their exact needs and preferences. Marketing Automation can help real estate marketers and agents to nurture potential leads with relevant content, and catalyze conversions. If you are new to real-estate marketing automation practices, then here’s a comprehensive guide for you to get started. The first obvious step is to pick a marketing automation tool. If you haven’t signed up for an automation tool or don’t know from where to start the search, you can start with Aritic PinPoint. It has all the features you will need to capture, nurture and convert leads. When I say real-estate marketing automation, it includes many things – Building landing pages, capturing email addresses and other basic information, creating buyer’s profile, tracking leads, scheduling behavioural triggers, sending drip marketing messages, creating mobile alerts, designing responsive email campaigns, and more. So, let’s start with the basic use cases you will need for your real-estate marketing automation. When you hear marketing automation for real estate marketers or agents, what do you think they do? Do they gather data from immediate future by tracking leads and offering them with exclusive real estate deals? Or do they schedule emails and offer consultations for free and send out really good education materials like eBooks or whitepapers? Frankly, they do both and more. Real estate marketers design their campaigns in a way that can trigger the emotions of their prospective buyer. What do Emotions of Buyers Indicate? Suppose you are looking for a house somewhere in the outskirts. You have added filters like 2 bedrooms, a lawn, kitchen equipment, etc. When you see a property matching all your criteria, do you immediately click on buy? No. If that property fails to trigger a certain kind of warmth, you don’t go for that property. Remember, a buyer often modifies his/her criteria if they get a property that makes them go ‘wow’. After all, you are buying a house, not any random office wear. You want it to be perfect; so does the real estate marketer or agent. By tracking your online engagement, filters, tags, and browsing pattern, real estate marketers will create a buyer persona defining your profile. Based on all the information about you and your browsing pattern, they will design targeted emails and marketing messages showing you properties aligning to your interests only. 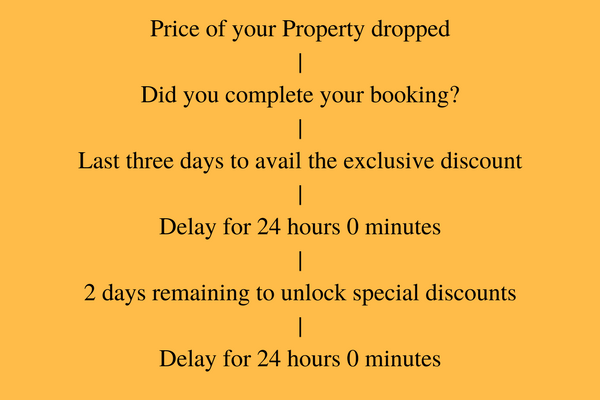 As you keep on engaging, they keep showing you the exclusive deals, benefits, and other factors that can make you say ‘yes, I’d like to buy this one’. A marketing automation can help you in creating automated email workflows (Aritic PinPoint makes really easy workflows). To capture leads you to design intuitive landing pages, pop-ups, or a simple form. After that? Do you wait for a request to come from your new subscriber? No. You don’t. You rather design a workflow based on the offer you have thought and the conditions you have set. A marketing automation tool will help you set triggers based on which requisite action will happen immediately. For instance, after subscribing, if your new lead visits several properties in a particular area, you send them more details on other properties that are similar to the search history. If your new subscriber has filled out a form for an eBook on your website, you send set a trigger to send them an email containing that eBook. It is always cool to have a client meeting scheduled. But what if you knew exactly what properties that client is looking for even before you are connected to her/him? Wouldn’t that be great to have specific data in your hands before you start conversing? Marketing automation enables you to use a tracking pixel code which you can place on your website. This pixel code will give you exact breakdown of the entire browsing history of your potential leads – the pages visited and the properties clicked. 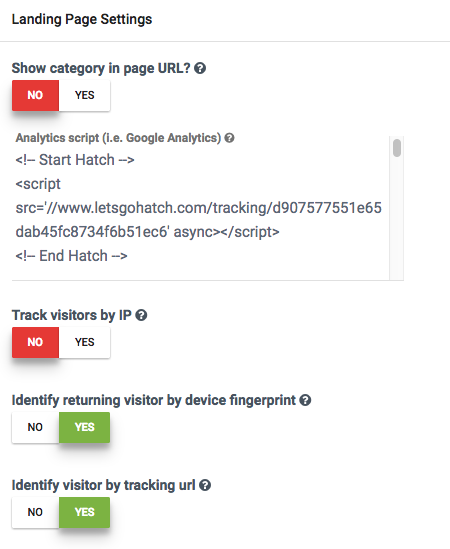 Below is an example of how Tracking Code works on Aritic PinPoint: You can add the Aritic PinPoint tracking pixel code on your website, blog and landing pages to automatically track the flow of your leads. Just like you had automated that ebook email after your leads subscribed from your landing page or forms, you can also automate your email series. It is also termed as Drip Email Campaigns. Related Post: Drip Email Campaigns trigger customer acquisition and retention. It is not necessary that a lead when subscribes, is actually ready to purchase. She/he may be looking for properties at that moment. But this doesn’t mean that she/he will not buy a property in the near future. 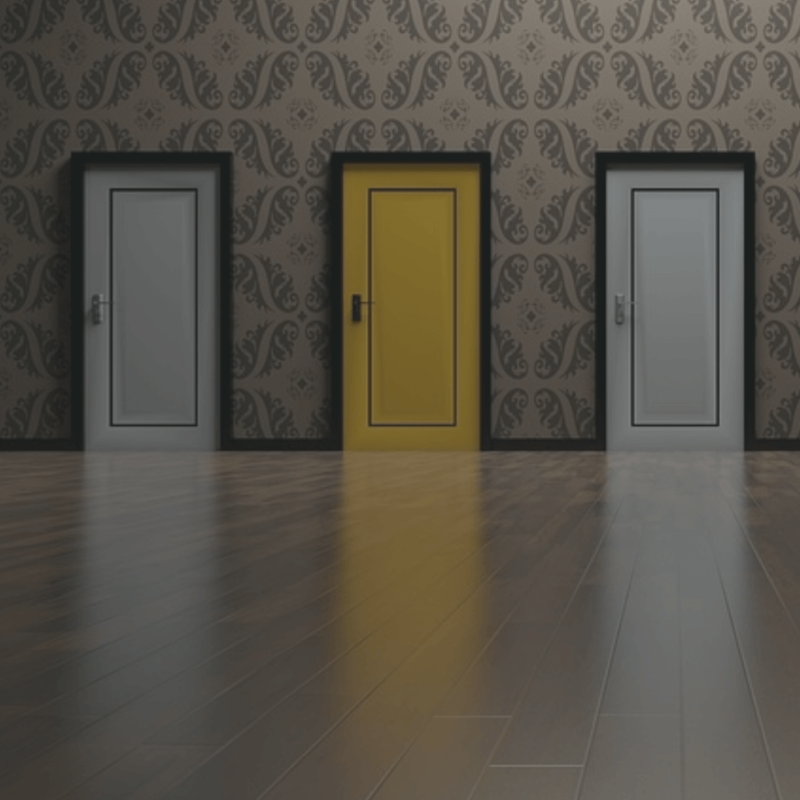 What if your leads leave after browsing and never come back? The time during browsing, deciding and buying is very crucial. This is where lead retention happens. And Drip email campaigns are the best way to retain and engage leads, encouraging them to move down the funnel and decide to ‘purchase’. You can schedule series of emails based on behaviour tracking and topics of interests. For instance, if a lead is interested in buying a new home in and around a particular location, you can put together a drip email series showcasing properties that match their criteria. You can schedule your emails at certain time durations, like after every two days or so. This kind of automated series can stretch from weeks to months, depending upon the lead engagement rate. Yes. It’s that simple. While your email series get automated, you can spend your time focusing on other areas of your marketing. Here the condition set is “Downloads an asset”. Whenever a lead will download an asset, 3 points will be assigned to that lead. You can always change the conditions and the assigned points. It totally depends on you to decide what are the criteria you will consider while assigning lead scores. You can take into account page visits, resource downloads, budgets, expected date to move in, opting for a free consultation, etc. For instance, if a lead signed up and is expecting to move in somewhere within next 30 days, this lead is a ‘hot lead’. It is actively looking for properties and that too pretty soon. Similarly, if a lead signs up and shows no hurry in moving in, despite engaging on your website, this lead can wait. But not the former one! Real estate agents and marketers are opting for marketing automation practices not because everyone is using it, but because real-estate marketing automation has some serious benefits to offer. The simplest fact is: marketing automation triggers higher conversion rates for real estate marketers and agents through multichannel marketing efforts. Here’s how. 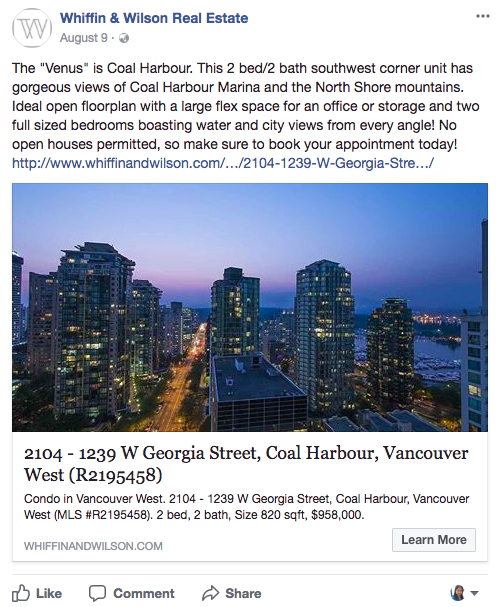 Whiffin and Wilson are real estate consultants in Vancouver and West Vancouver. 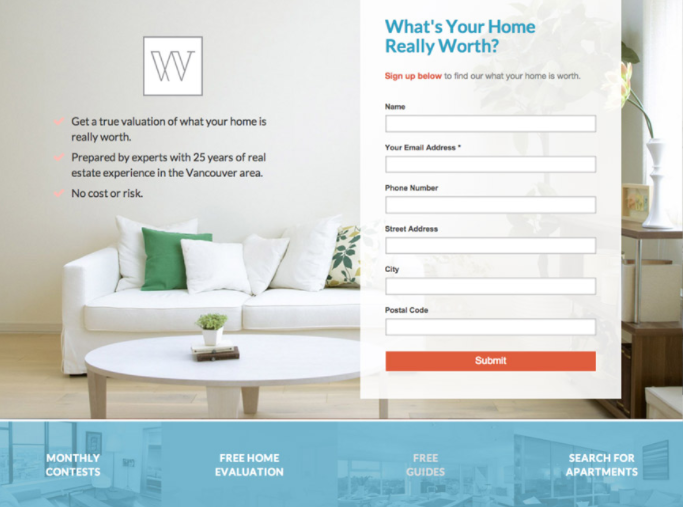 This is the landing page you will see when you search for residential and corporate properties in Vancouver and West Vancouver. This landing page is designed for free home evaluation lead generation purpose. Since Whiffin and Wilson are quite experienced and popular, this landing page is a great start for newbies. The logo, colour coordination, and limited form fields make this landing page an excellent design. It has several other options that might interest a new buyer like monthly contests (possibility of winning something like a discount on some property, or so), free home evaluation and free guides (‘Free’ does the magic), and search for apartments (directly solving a problem statement for someone looking for properties and giving them a way to get started asap). The form is carefully designed with email address field marked as mandatory only. For those who are interested in giving out more information, can continue filling up the remaining few fields. The headline evokes a sense of curiosity which works in favour of Whiffin and Wilson. Once leads give in information, segmentations happen automatically in an automation tool. It is called dynamic list segmentation where leads are segmented based on the information they provide. Details like location, interest criteria, website and lead behaviour are taken into account for segmentation. Once segmented, real estate marketers and agents can start sending regular newsletters or updates. Drip campaigns are the best way to get started. Apart from that, you can schedule autoresponders for certain marketing messages as well. Based on behavioural triggers, emails are sent out. When we talk about real estate marketing automation campaigns, it is not just about sending automated emails. It also includes other modes of marketing like SMS. Short Messaging Service (SMS) is a great way to stay connected with your leads on-the-go. Sending a crisp SMS with property details and a short link to check the same in-app or browser increases lead engagement manifold times. Multi-channel real-estate marketing automation plays a pivotal role in nurturing more leads and increasing your overall conversion rate. However, to nurture leads, you will need to generate leads. While drip marketing, email automation, social media engagement, and customer references help in generating new leads, these are just an overview of the practices you can adopt. Here is a breakdown of several best lead generation practices for beginners. Landing Pages: I have already discussed how landing pages help in acquiring new leads. eBooks: Offering a free eBook in return of email address always works. If a visitor needs information that your eBook can provide, he/she will readily provide their email address because you promise to send that eBook for free lifetime access over their email. It is another version of give-and-take. Blog: Your blog contains details about various properties, upcoming and existing ones. It notes customer testimonials, how real estate industry in flourishing, what are the budget margins, and every other details that can help your visitor in searching their perfect property. Adding a subscription button will go a long way because these are the information your visitor will need while making a purchase. Exchanging email address for freshly minted and up-to-date content is worth it for your visitors. Pop-Ups: While adding a subscribe button in your blog is a great way to capture new leads, you can also schedule pop-ups. They can be full-page pop-ups or a static pop-up that sits quietly at the corner or bottom of your page, or any other type you prefer. I like the concept of exist-intent popup where a popup shows up when the visitor is about to click on the exit button without filling up the form. Since they are already leaving, it does not harm to give a last try in retaining them and getting lead information. You can use pop-ups on your website, blogs, and any other page you wish to. Social Sharing: Give your visitors chance to share your content over social media platforms directly from your blog page. Add social media buttons so that your content is shared among more people. It is almost like word-of-mouth concept. Video Engagement: Videos show 100% engagement from visitors in comparison to just content. Visually entice your visitors with property previews, details, and how to reach you. You can create a gated video where you ask your visitors to fill up a short form to continue watching the video. You can time your gated form after certain seconds of the video being played. Referrals: Your existing clients are your best advocate. These clients, after having a great professional experience with you, will spread the word about you to anyone they know are looking for a property. Since they have had the best experience, their acquaintance will find you more reliable than any other online information or blog. You can run referral promotions where you offer commissions as incentives to your clients on referring your real-estate portal within their personal network. Once a new lead signs up on their reference, they get a commission for the same. Its a win-win situation for you and your clients. Case Study: Customer testimonial and case studies help ensuring your visitors that they are at the right place. These case studies are genuine proof that your real-estate portal offers a great experience in searching and buying the ideal property they are looking for. Free Consultation or Quote: When you offer free consultation or quote, you happen to trigger some sort of curiosity in your visitors. The fact that they will get free consultation or quotation in exchange of only their email address and name is satisfying. This is a great way to generate new leads. When implemented correctly, marketing automation can help beginners generate more quality leads effectively. It allows you to streamline your entire marketing effort and push your leads through the marketing funnel. Here are few ways in which higher lead conversions can happen using a marketing automation tool. How about having every minute data about each lead compiled and stored on one single dashboard? A marketing automation creates buyer’s person, which is a semi-fictional representation of the actual lead. This buyer’s person has all the information about that lead – location, browsing history, web browsing pattern, social information, job profile, and exact property criteria they are looking for. Also, with tracking pixel codes, it is possible to track their entire behaviourial flow. Putting together all these information, you can know what exactly your leads are looking for and what they expect to hear from you. Thus, when you connect with this lead, you already know what will get them to say an ‘yes’ most definitely. Progressive profiling helps in getting information that is relevant. Stop making annoying forms with irrelevant questions. Your leads will only bounce away. With progressive profiling, you ask questions that are quite related to what they are looking for, their past browsing activities, and related to their interests. When you ask questions that are relevant, your leads are most likely to fill up the entire form and give your requisite information which you can later use. When you have accurate information in hand, conversions are bound to happen. There are always two sets of people – while one set is ready to buy immediately, the other lot spends time merely just browsing through real estate websites without immediate interest in making a purchase. Thanks to real-estate marketing automation practices, you can spot the potential leads via lead scoring. This means high lead score clubbed with buyer’s information helps you in designing marketing message that is relevant. You send out exact information that they require without wasting time. This doubles up your chances of conversion because you have sent the required information at the right time. Dynamic content refers to content that modifies based on each individual visitor. You can use dynamic content on your website or in your push notifications to give personalized messages to your visitors. Factors like past purchase behaviour, location, country, etc. are taken into account to show most relevant content to each visitor. It helps in showing the featured property to each visitor based on the prospect profile. When you show exactly what they are looking for, conversions will follow. Social media integration is an important part of your real-estate marketing automation strategy. You can have a dedicated Facebook page or a Twitter profile, run an Instagram account where you post nicely captured property images, run contests, and in general connect with your target audience over these social media networks. Whether through Messenger or direct messaging on Twitter or Instagram (there are so many more platforms as well), you can leverage customer engagement, listen to their needs, and connect with them one-to-one for genuine discussions. This personalized effort makes way for conversions because here you build a relationship and your customers start trusting you. Here’s a Facebook update from Whiffin and Wilson Real Estate. Have you tried any of these methods? Or did you do something more that gave you great results? Tell me about it and I will make it a point to keep updating this post. Good article, you have written valuable information about Real Estate Marketing Automation. Thanks for bringing such unique ideas in one place. Hey Pritha, this information about real estate marketing automation helps a marketer to understand the basic terms. Great article! If a company utilises the right real estate marketing automation platform, then it can help them enhance the customer’s experience, then this is an excellent guide to get started! Thanks a lot, Pritha for sharing this in-depth guide to Real estate marketing automation. I agree with Pritha. If the automated series of emails are sent based upon the interests upon customers interests, then a real marketing automation tool can be quickly useful. 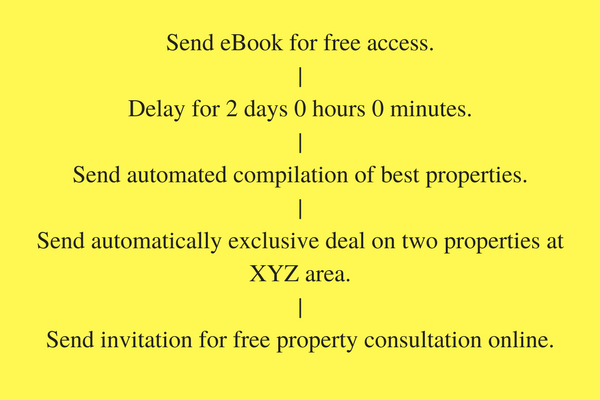 Thanks a lot, Pritha, it helped me to provide an in-depth guide to Real Estate Marketing Automation. Thanks for bringing such unique ideas in one place. If the implementation of real estate marketing automation is done in a proper manner, then it can prove beneficial. I have worked with few real estate clients and can say that using automation tool can actually increase the overall ROI. Ofcourse, that needs time and proper implementation of campaigns. Agreed. Digital marketing is the future of real estate. I have been working in this sectors for a few years now. It is surprising the results I have seen since I switched from organic means to digital. Your article covers important points if not all. 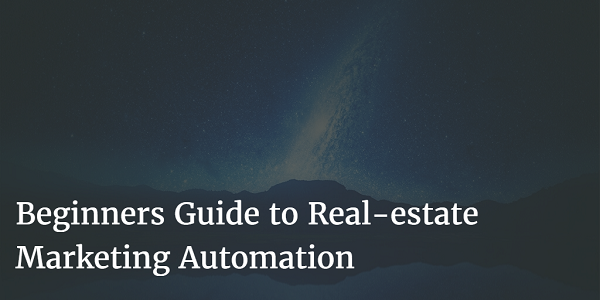 Hey Pritha, thanks for providing this in-depth guide to Real Estate Marketing Automation. I am planning to invest in a tool soon for my Real estate business. Yes, Real Estate Marketing has evolved drastically in the past decade. While inbound marketing strategy is how we can reach out to the audience, marketing automation is how we can make the most of real estate lead generation. A Marketing Automation software can be a very vital component to a Real Estate Agent’s lead generation strategy. It allows Real Estate Agents to deliver real-time, personalized marketing messages to potential clients throughout the sales process and also saves a lot of time too. Ya I agree Pritha, A well-rounded real estate marketing automation tool can indeed amplify the customer’s experience by tailoring custom messages at each step with a series of automated emails based on their interests.